Situated in one of the last remaining prime spot in the golden triangle Crescent Park West at The Fort inside the Bonifacio Global City, Avant at The Fort is the country’s first green condominium. Built using sustainable technology sourced from around the world, this 38-storey project allows residents to enjoy city life while reaping the benefits of being surrounded by green features incorporated into the overall design. 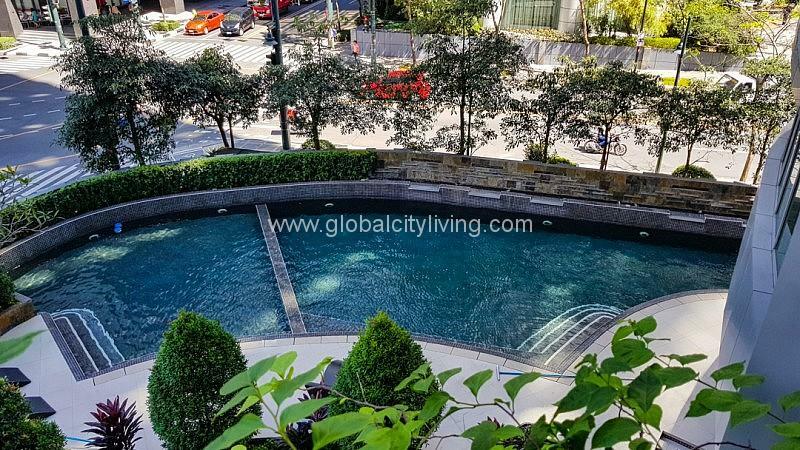 It is also near St. Luke’s Global and Makati Medical Center, as well as other central business districts, international and local schools and universities and lifestyle centers. Contact us for more information about Avant. One of the leading real estate developers in the country, Vista Residences, conceptualized Avant at the Fort to be the epitome of green living in the metro. This residential development is constructed using sustainable technology that places an importance on our environment and how best to preserve it. The result is a 38-storey tower that’s filled with units that range from 36 to 176 square meters and various eco-friendly features for its residents. As a result, people who reside in Avant at the Fort get to live in a place where sustainability is the standard without compromising on functionality and luxury.